German Chancellor Angela Merkel received the Prime Ministers of the the Ukraine (Arseniy Yatsenyuk), Georgia (Irakli Garibashvili), and Moldova (Iurie Leanca) this evening in Berlin. Though the excuse was an award, the press conference was about the EU’s policies looking eastwards and the role Germany plays there, on the occasion of the 10th anniversary of the EU’s major eastward expansion in 2004. The meeting comes on the heels of the Ukrainian presidential election, amidst increased fighting in the country’s east. 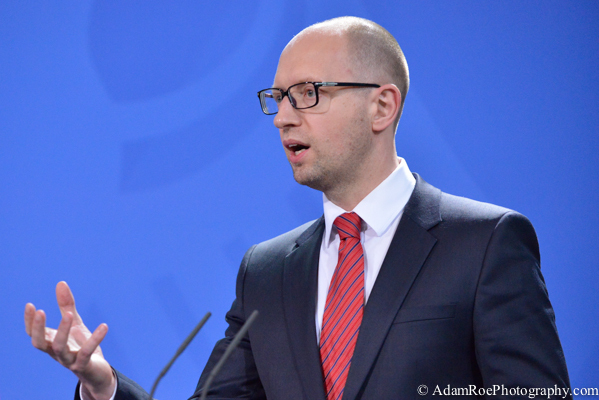 The evolving situation in the Ukraine was clearly on everybody’s minds. 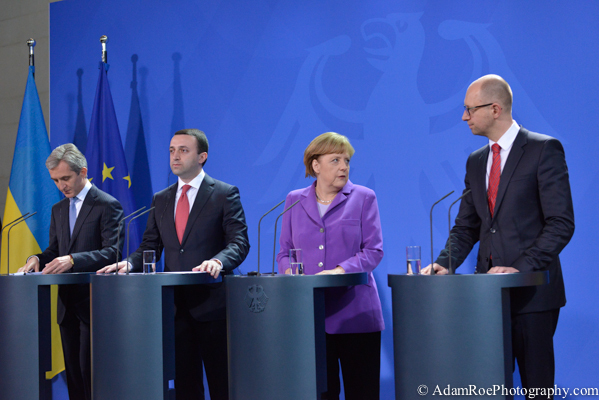 The whole gang: the leaders of Moldova, Georgia, Germany and the Ukraine. 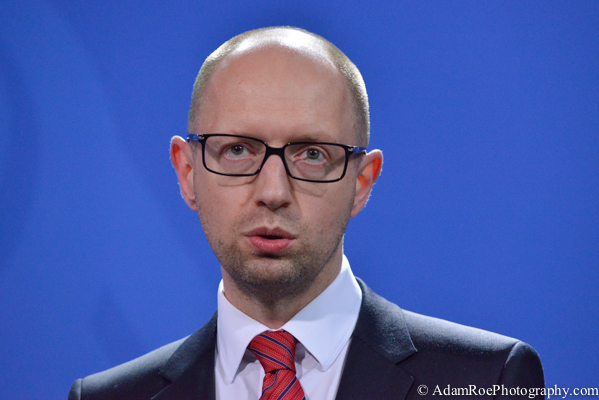 Arseniy Yatsenyuk, the Prime Minister of the Ukraine, speaking at the press conference. 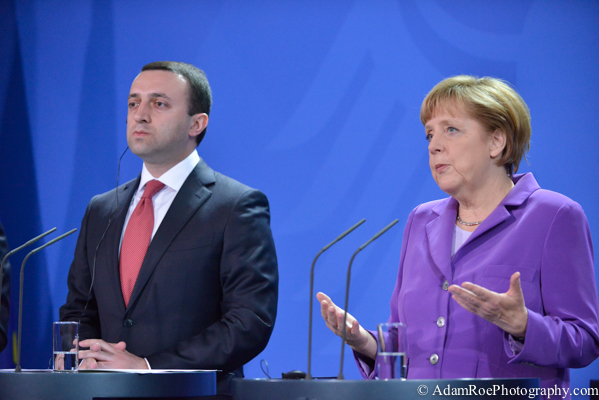 Angela Merkel speaks while Irakli Garibashvili, the Prime Minister of Georgia, listens. 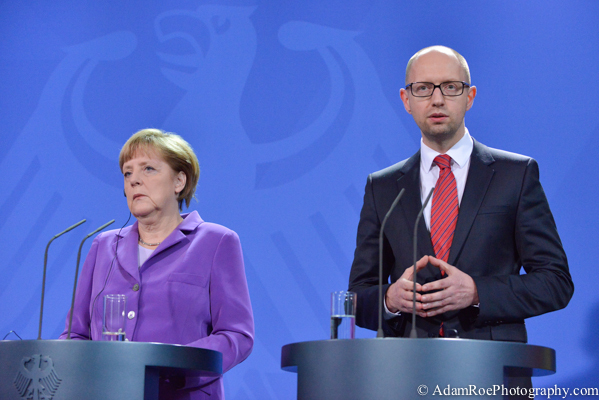 Angela Merkel and Arseniy Yatsenyuk. She listens while he mimics her famous hands. 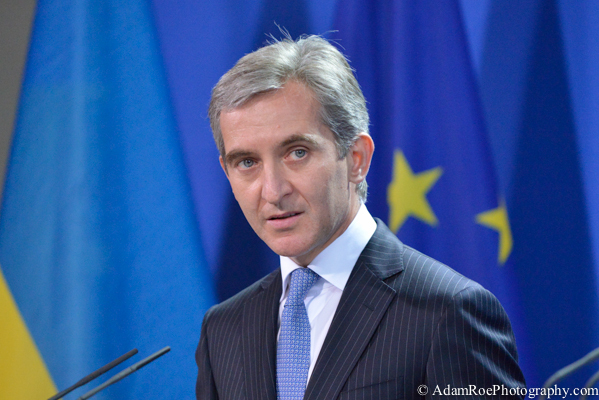 Iurie Leanca, the Prime Minister of Moldova, at the press conference. 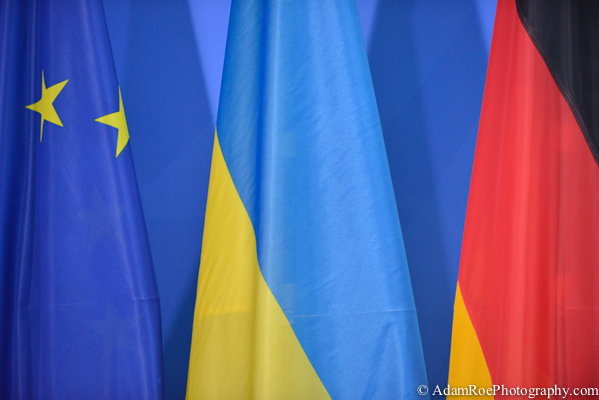 This entry was posted in politics, press and tagged eu, merkel, ukraine on May 28, 2014 by AdamRoePhotography. I had the chance to spend a few days in Prague earlier this month with two of my favorite people. 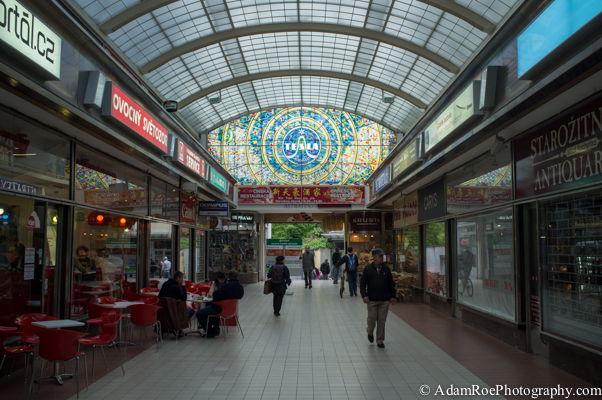 I travel light photographically – often just with my Fuji X100. Especially when I can take the train (ah, internally borderless Europe), I always bring a film camera or two along. Even taking my 4×5″ is a lighter load than the three or four lenses and two or three cameras (and computer) I carry every day for press work. This time I brought my medium format film rangefinder, but also my X100. 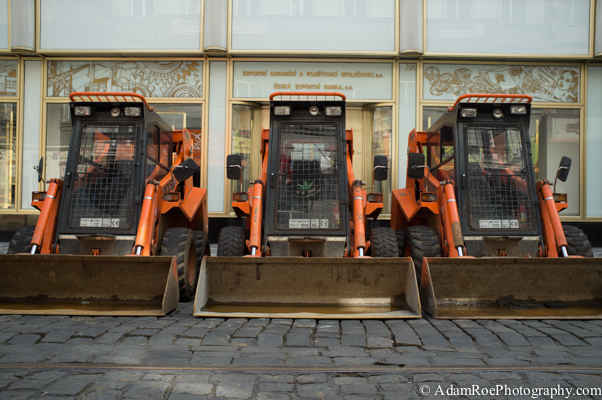 Here are a couple of shots of Prague, away from all the tourists (which is not easy to do…). A driver takes a break from ferrying tourists around town in a classic red convertible. 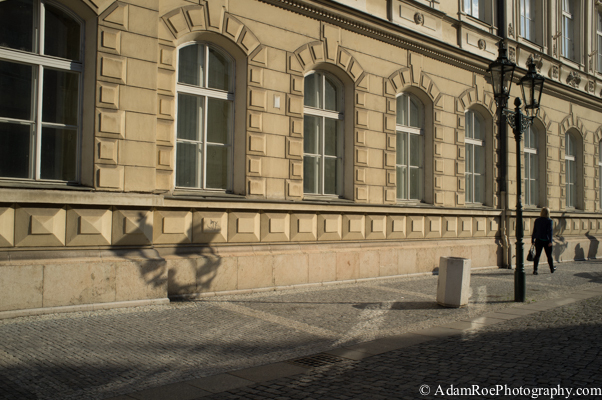 A game of Light and Shadows on Prague’s streets. Construction team on a Sunday. Notice anything on the driver’s seat? 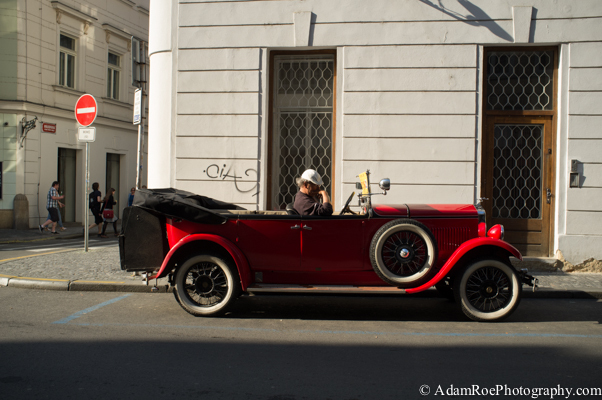 This entry was posted in street photography and tagged prague, sunshine, x100 on May 18, 2014 by AdamRoePhotography. Amnesty International launches their Stop Torture campaign worldwide, including at a press conference in Berlin on 12 May 2014. 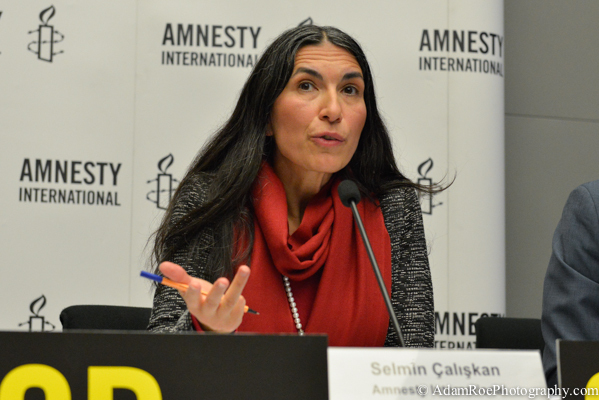 The Secretary General of Amnesty International in Germany, Selmin Caliskan, discussed the legal and political effects of torture. She pointed out in particular that torture is still common in many countries which have signed the United Nations Convention against Torture and even have their own laws against torture – which adds to a distrust in the legal foundation of countries (Rechtsstaat). 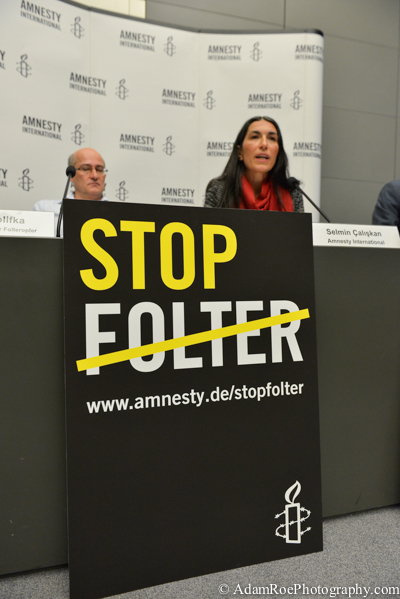 Selmin Caliskan, the Director of German Chapter of Amnesty International, during the press conference. Matthias Polifka, psychotherapist at the Berlin Center for Treatment of the Victims of Torture. 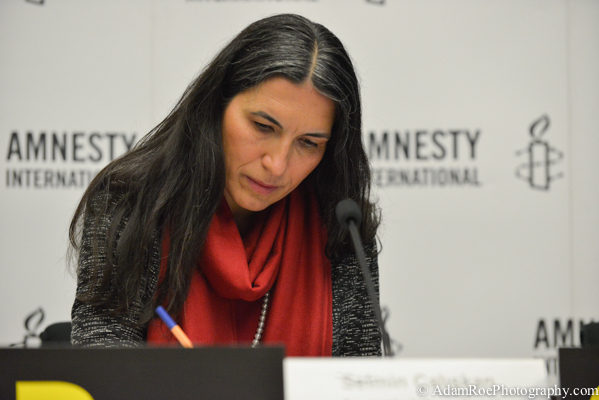 Uzbeki journalist and human rights activist Umida Niyazova was present. 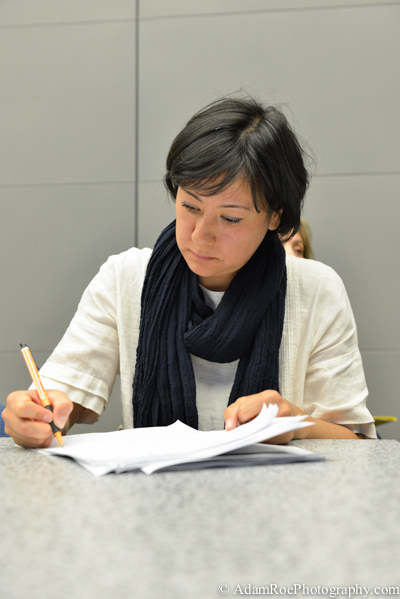 She recieved asylum in Germany after being imprisoned in Uzbekistan. Selmin Caliskan, the Director of German Chapter of Amnesty International, prepares for the press conference. Matthias Polifka and Selmin Caliskan at the press conference, behind a sign that reads “Stop Torture”. 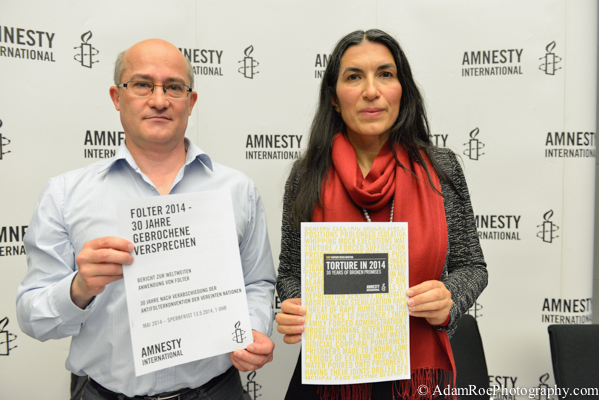 Matthias Polifka and Selmin Caliskan with the campagin information and 2014 report on torture. 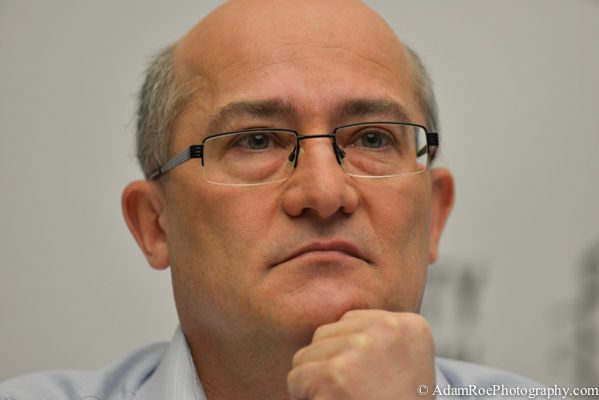 This entry was posted in politics, press and tagged berlin, press conference, torture on May 13, 2014 by AdamRoePhotography. 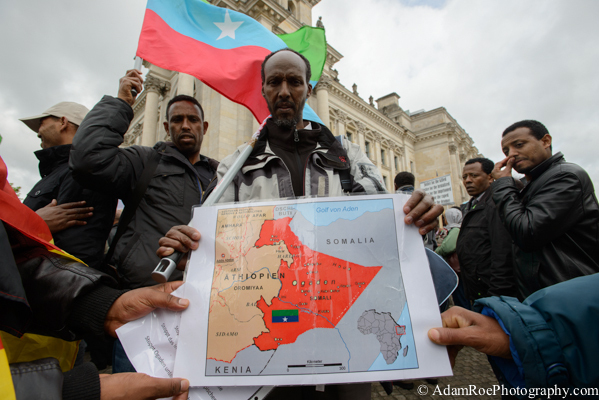 A demonstration is held in front of the German Parliament against the recent killing of students in Ethopia by government security forces, who have been protesting the planned expansion of Addis Abeba into the sorrounding Oromo region. 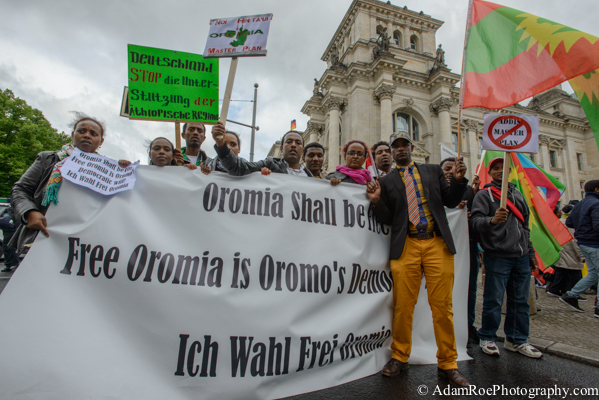 This protest on 9 May 2014 in Berlin, Germany, is part of a day of worldwide demonstrations by members of the Oromo community and their supporters, including human rights groups. 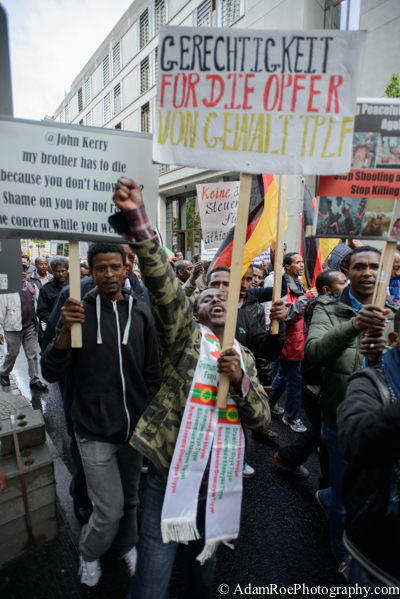 Protestors marched through Berlin-Mitte with flags, posters and banners. 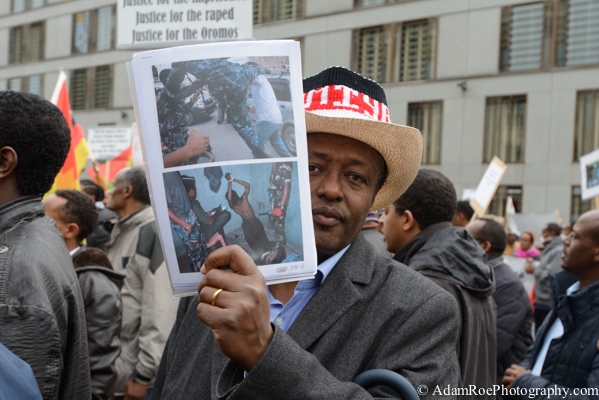 A protestor holds up a map of Oromia and its sorrounding region. Men demonstrate with bound hands and taped up mouths in protest. Protestors holding signs and flags in front of the German parliament. A protestor holds up photos of students being beaten and tortured. 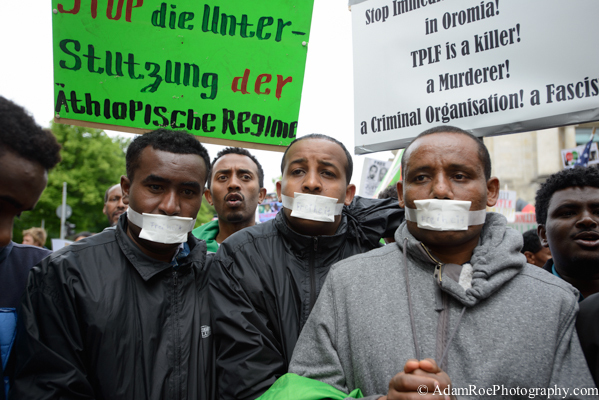 A sign in German reads “Justice for the victims of violence of the TPLF”. 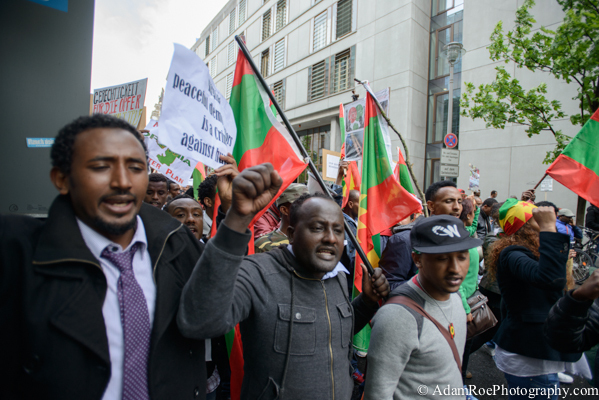 This entry was posted in berlin, politics, press and tagged ethiopia, Oromo, protest on May 9, 2014 by AdamRoePhotography.